Can Category Management Clean Up Its Act, AI- Style?! In a post-AI world, the cards are up in the air and everything is up for grabs. Can category management help the procurement profession to scrub-up and embrace these changes? How are large corporations managing and recruiting their workforce in the age of the gig economy? Can cognitive tech help marketers connect the dots and better understand their customers? Will we require architects in the future to design our buildings, or can we ask bots do that for us instead? AI and cognitive technology will impact all corners of the business whether it’s construction, labour or marketing. For procurement’s category managers, technological advancement provides the chance to reinvigorate the profession and develop innovative ways of working. But there is also a legitimate fear of the major disruption AI brings. Which services and industries will we lose entirely? How many roles will be made redundant? The cards are up in the air and procurement prosperity is there for the taking. Can category managers help the profession to scrub up and seize this opportunity? 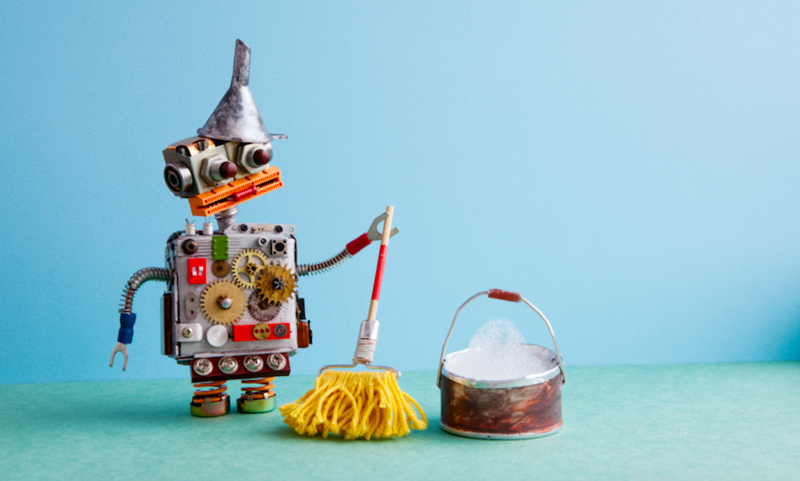 This month, we’ve enlisted the help of three category management experts to advise you on how to clean up your act and get the most out of AI! Last month we hosted a webinar – Clean Up Your Act! Category Management AI-Style – in partnership with IBM. What common problems have category managers faced in old-world procurement, pre-AI? How is AI impacting these categories; what sort of disruption can procurement professionals expect? How can AI help procurement professionals in construction design, build and maintain their projects? How can AI assist procurement professionals working in labour to attract, recruit and retain talent? How can AI help procurement professionals working in marketing to strategise, create and manage optimal marketing campaigns?